Honey Cookies – Russian Pryaniki (Домашние пряники медовые) are a classic Russian honey treat. Everybody has memories of freshly baked cookies from their childhood. We especially enjoy these around the holidays. There were 2 types of cookies that I specifically remember my mom baking, usually in huge amounts! Honey Cookies – Russian Pryaniki were my favourite. Mum would bake these in large batches for us to eat, and when company came over, there was always cookies on the table. I remember my grandmother making these cookies as well. The other cookie my mom baked was a Russian Sugar Cookie (Сахарное печенье) which is delicious warm out of the oven. Either of these recipes go perfectly with a cup of milk or tea. Growing up, I never really appreciated Russian cookies, as I wanted more American cookies with chocolate chips like Monster Cookies. You never really appreciate some things until you’re older. Even going over to my grandma’s house, she was always feeding me these pryaniki. Traditional Russian Honey Cookies or Pryaniki, are sometimes confused as Russian gingerbread. This is inaccurate, as ginger and spices are optional to these honey cookies, and often aren’t made that way. It’s best to plan ahead when making Honey Cookies. When making the honey cookie dough, it needs to set in a fridge for at least 4 hours. Overnight is the best for the dough to set properly. 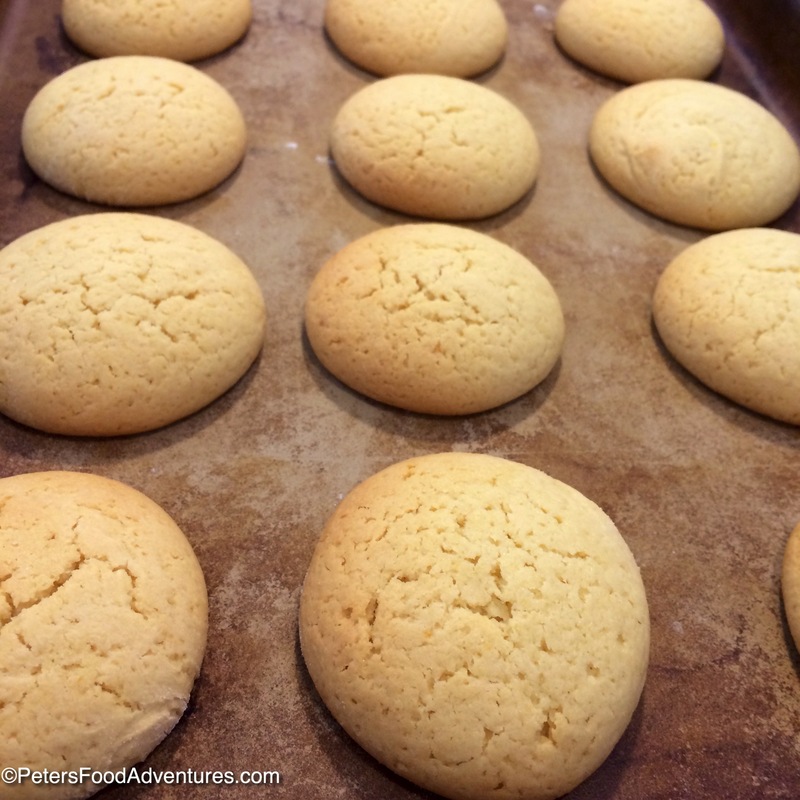 It’s easy and fun to roll each cookie into a ball and place on parchment paper. There are a few different methods to ice these Honey Cookies. The first method is to fully dip them into the icing sugar mixture. The second method is to use a pastry brush to paint each Honey Cookie, allow to dry and pain the underside. This obviously takes the longest, and I don’t have that much patience! And finally, the third method is to place all your cookies in a large bowl, pour the icing mixture over them and mix using your hands. This is the quickest and most practical way (although maybe not as pretty). I suggest trying all 3 methods to see which works best for you. Make a few ‘pretty’ Honey Cookies to serve for company. When you have enough and are tired, throw the rest into a bowl to finish quicker. The taste isn’t affected in either method. I usually use the first method and dip them into a bowl of icing sugar mixture. Some versions of this Honey Cookie Pryanik are made with a peppermint glaze, or have added spices. But not this traditional recipe. The hero of this recipe is honey, and the sweet glaze complements the flavor and seals in the freshness of the cookie. 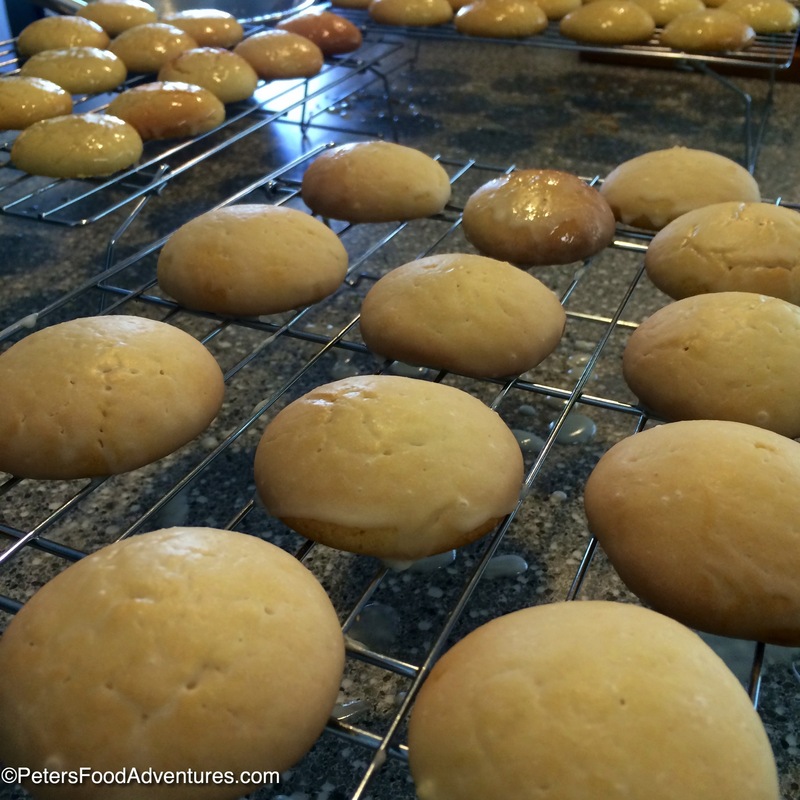 Russian Honey Pryaniki Cookies is a simple rustic cookie, passed down through the ages! Bon Appetit! Приятного аппетита! Whisk together the eggs and the sugar. Add the sour cream, honey and softened butter and mix. In a separate bowl, mix flour and baking powder together and add the flour mixture slowly to the honey mixture until fully incorporated together. Refrigerate for 4 hours, but overnight is best to allow the dough to firm up together. 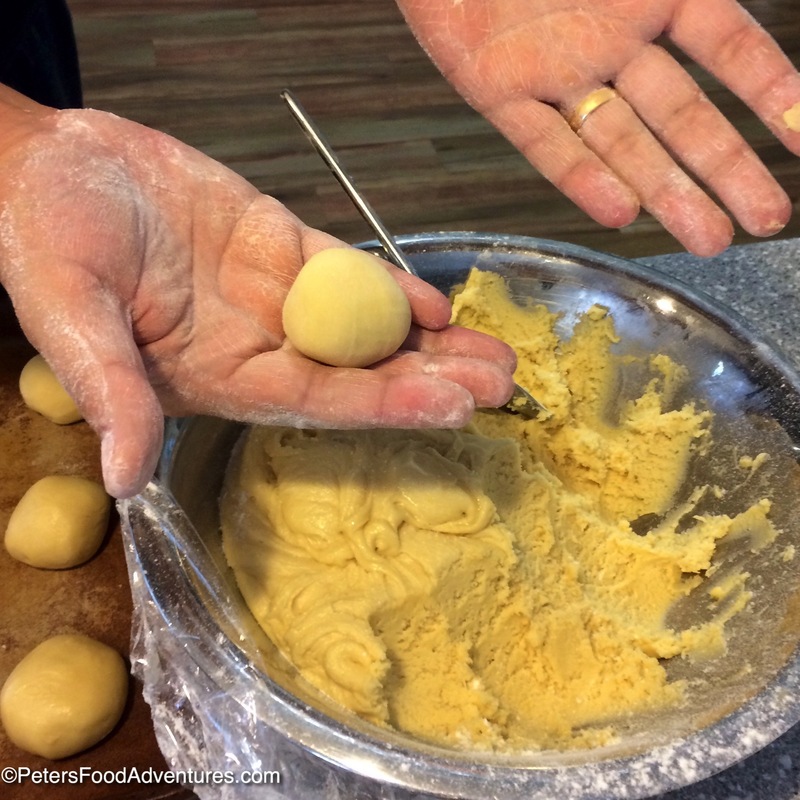 Using a tablespoon, spoon out a tablespoon size piece of dough into your lightly floured hands. Roll each piece into a ball and place on cookie sheet lined with parchment paper. Preheat the oven to 175°C/350°F and bake for 13-15 minutes. Finish baking and allow to cool before proceeding to the next step. In a bowl, whisk together the icing sugar and egg whites together. There are 3 ways to proceed, choose the one method which suits you best! Dip the cookies fully into the glaze and place on a baking rack to drip dry the excess icing sugar until fully dry. Using a pastry brush, brush the top side until completely covered in the icing sugar glaze. When it dries, brush the underside of the cookie. This method is the nicest method, but takes the longest. I rarely return to ice the underside of the cookies! Place the cookies in a large mixing bowl, then add the icing sugar mixture on top of them. Using your hands, mix it all together coating each cookie. This doesn't look as pretty as the other methods, but very practical and quick, and has not impact on taste. *You can control the thickness of the glaze by adding more icing sugar. A thicker glaze will be used up quicker, you might need to make a larger amount of glaze. My friend has just left for her year abroad in Russia 🙂 going to bake these for her when she gets back! Hi Peter. These look good. I fancy trying them, but can you tell me – is your cup measure 250ml? (As opposed to US 236ml or 240ml cup.) Then I can convert them into metric. Thanks, Dan. Hi Daniel, great question! The cup size that I use is 250ml. Good luck and enjoy! Hi! I was planning on making these for a get together- how many cookies does this recipe make? Hi Halley, thanks for checking it out! The amount depends on the size of the balls you roll in your hands, but I think it’s safe to say this makes around 75 cookies ???? I would like to try this recipe with my preschool class for our holiday unit. The 1/4 pound of butter melted. Is is a 1/4 pound before it is melted or after it should equal that? Hi Laura! Thanks for reaching out! It’s a quarter pound unmelted, then I melt it and use it!!! Hope your class enjoys them!!! ??? ?